Looking for a venue with a little extra sparkle? 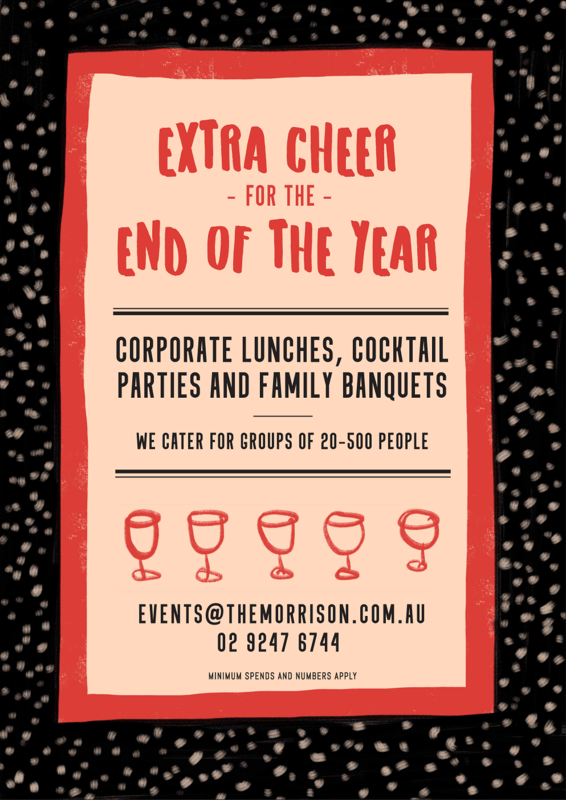 The Morrison is geared up to take on your end of year celebration. and receive a COMPLIMENTARY beverage or canape package upgrade.